Andrew Salisbury joined the RHS as Research Assistant in 1998 and has since progressed to the role of Principal Entomologist. He has had a lifelong interest in insects and completed a PhD at Imperial College London on the host range and chemical ecology of the lily beetle. As part of the Plant Health, team Andrew undertakes research and provides advice on plant pests and encouraging garden biodiversity. Currently his research focuses on the importance of garden plants for invertebrates, including pollinators, and the distribution of non-native insects. He has published more than 35 papers in peer-reviewed journals including the results of a four-year field experiment investigating whether the geographical origin of garden plants affects the abundance and diversity of invertebrates. Andrew has developed collaborative relationships with a number of organisations. 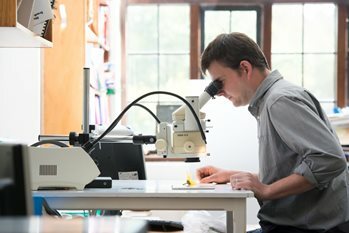 He successfully supervised a PhD with the University of Roehampton (2011-2015) and has recently started supervising a CASE student with the University of York researching regional diversity of plant-associated insects. He has partnered with Coventry University, Garden Organic and the Bumblebee Conservation Trust to obtain Heritage Lottery funding for a project to investigate “Blooms for Bees”. He is also a fellow and a membership committee member of the Royal Entomological Society, and chair of trustees for the Wildlife Gardening Forum.